3. 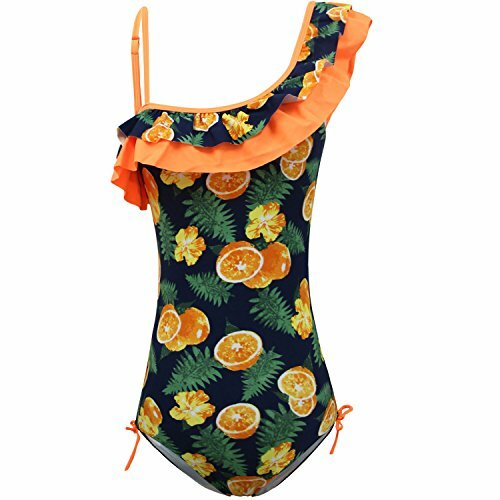 High Waist Ruffle Bathing Suit, popular and warmly welcome on the beach, Double layer ruffle,Funfreshlemon fruit print with international fashion trend. 5. Adjustable thigh lines to make legs adjustable to provide modest feeling . ALL DAY SUN PROTECTION: High-tech material with SPF 50,providing this swimwear for toddlers and girls swimsuit ultimate, secure protection for little swimmers. WASHING CARE: cold water is preferred, no washing powder needed. If you have any questions about this product by KALAWALK, contact us by completing and submitting the form below. If you are looking for a specif part number, please include it with your message.